Color-contoning involves using a 3D printer equipped with 10 different transparent inks placed in extremely thin layers to produce more accurate colors. The MIT team combined their color-contoning technique with an older technique called half-toning. Combining these two techniques, the team placed a lot of colored dots onto paintings instead of using continuous tones. 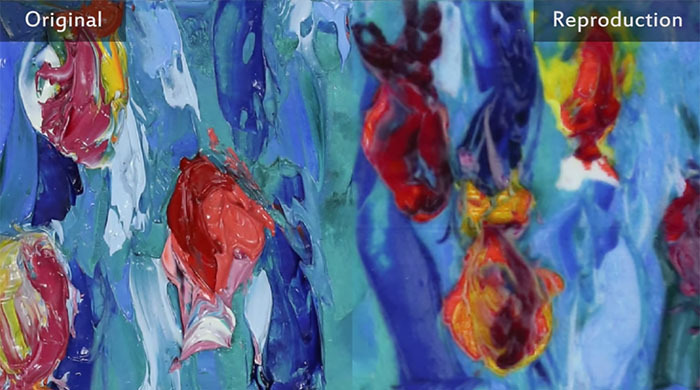 This combined technique allowed the team to create more accurate colors and textures, which they then used to reproduce paintings using a 3D printer. This entry was posted on Friday, November 30th, 2018 at 9:48 am	and is filed under 3D, printer. "CERAMBOT, the ceramic 3D printer"
"How Dentists Use 3D Printing In Their Work"